Archive for the ‘Events and meetings’ Category. Thanks to everyone who attended tonight’s meeting. As well as a lot of information about actions being taken with respect to the current legal situation, it was agreed that a public event will be taking place at the weekend – stay tuned for more information. 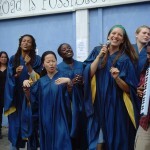 We have received notification of an event which may of interest to some of our supporters. 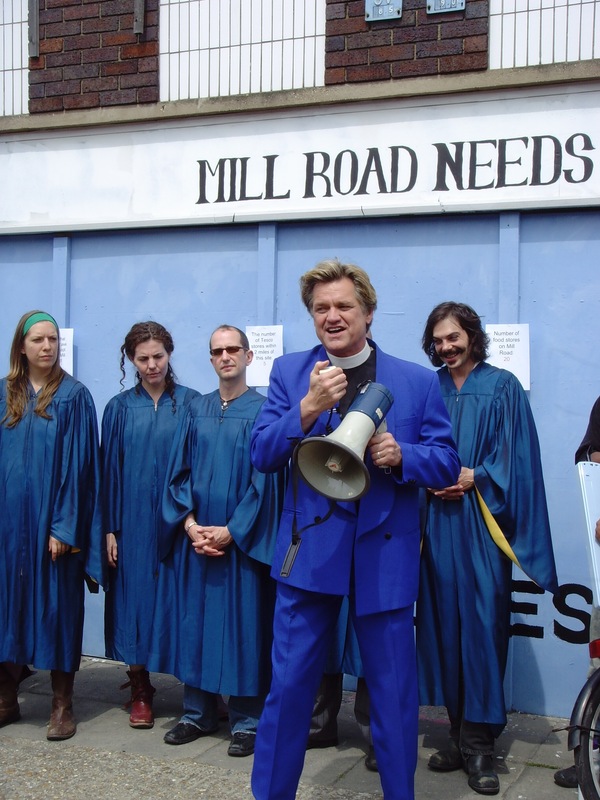 councillors will also be there.. We are at another crucial stage in the long and continuing fight to keep Tesco off Mill Road. 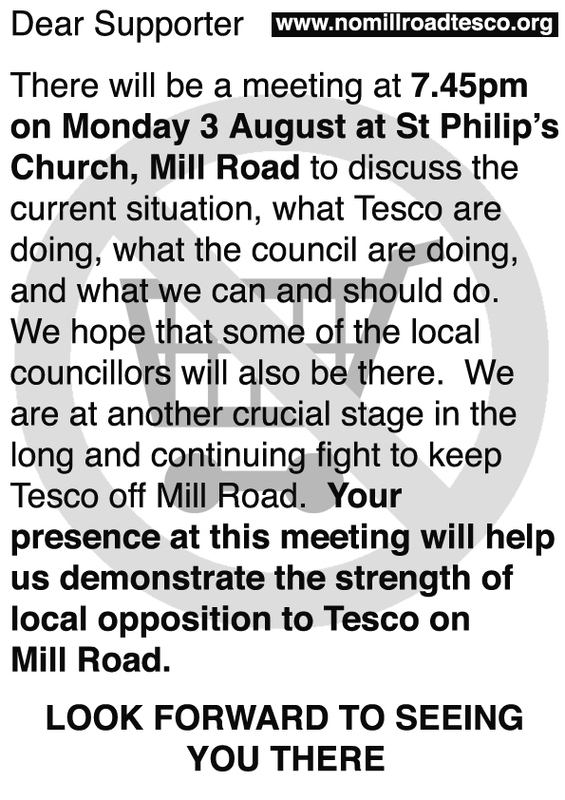 There will be a meeting at 7.45pm on Monday 3 August at St Philip’s Church, Mill Road, to discuss the current situation: what Tesco are doing, what the Council are doing, and what we can and should do. We hope that some of the local and County councillors will also be there. 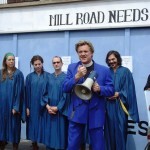 We are at another crucial stage in the long and continuing fight to keep Tesco off Mill Road. 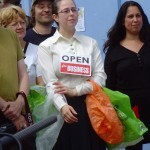 Here is a video and some photos from Monday’s event. 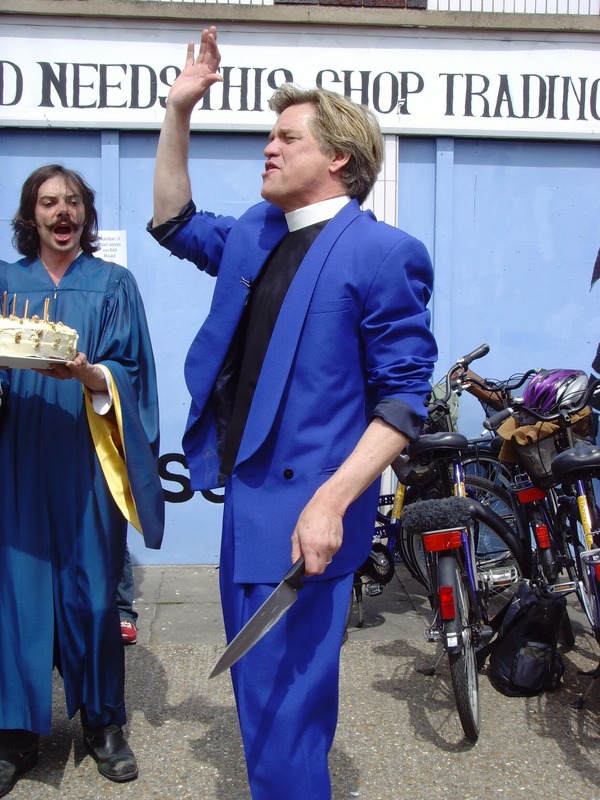 Reverend Billy has also blogged about us! 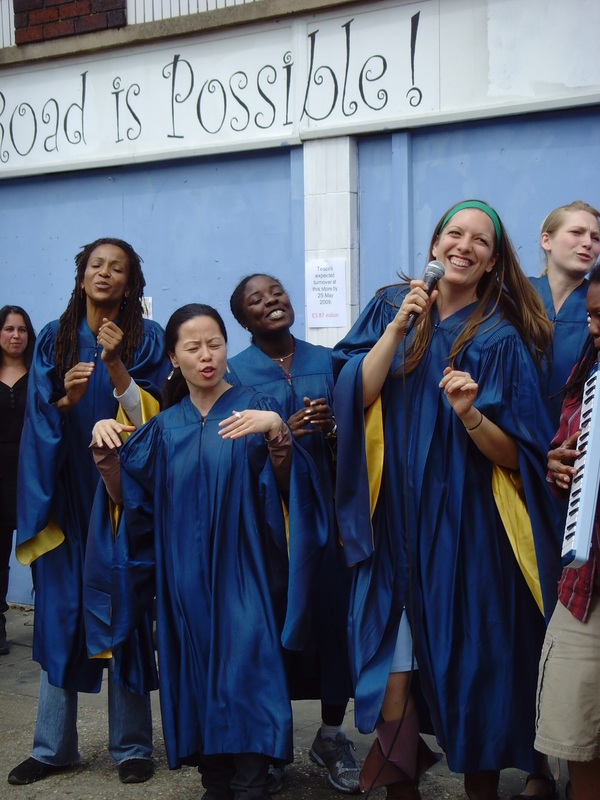 Rather more succinctly, Google describes them as “Advocacy group led by comic preacher. Opposes chain stores and malls that hurt neighborhoods”. 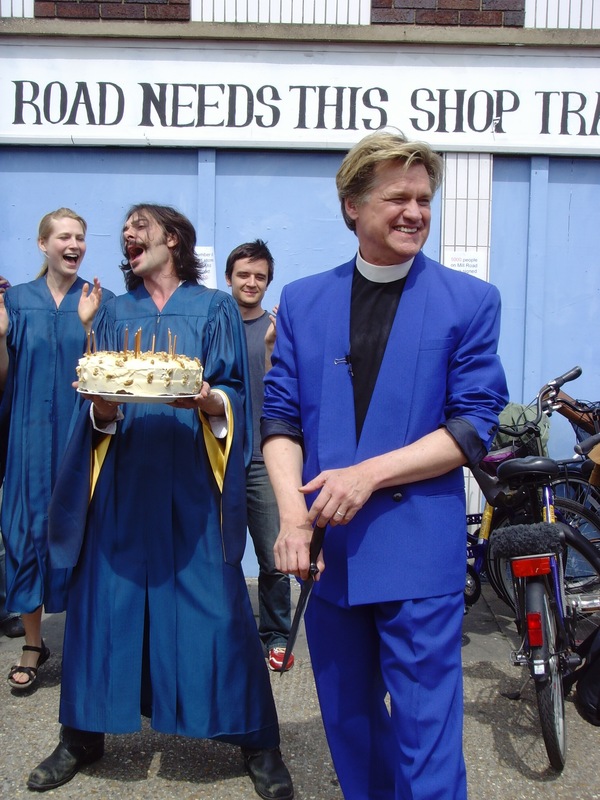 See a trailer from his recent film, and have a look at a video on his website. 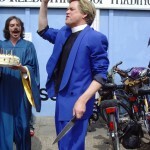 Whatever you think of his message, it’s pretty certain to be interesting! Do come on Saturday if you are free! A film crew from ITN’s Tonight will be coming along also. 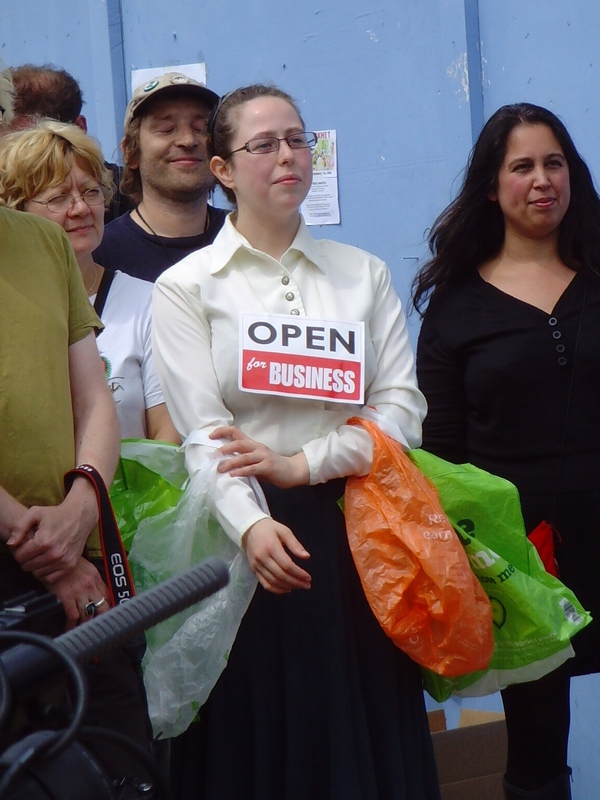 Volunteers are also needed – please get in touch if you can help staff the stall. We are holding a public meeting this Wednesday, 11th March, starting at 8.00. It will be held in Ross Street Community Centre. The purpose of the meeting is to update everyone about Tesco’s latest moves, and to discuss what our next steps should be. We are obviously continuing to work within the planning system, not to mention reminding councillors and Council officers that a Planning Inspector confirmed the councillors’ own judgement that Tesco cannot deliver safely to the Wilco site. 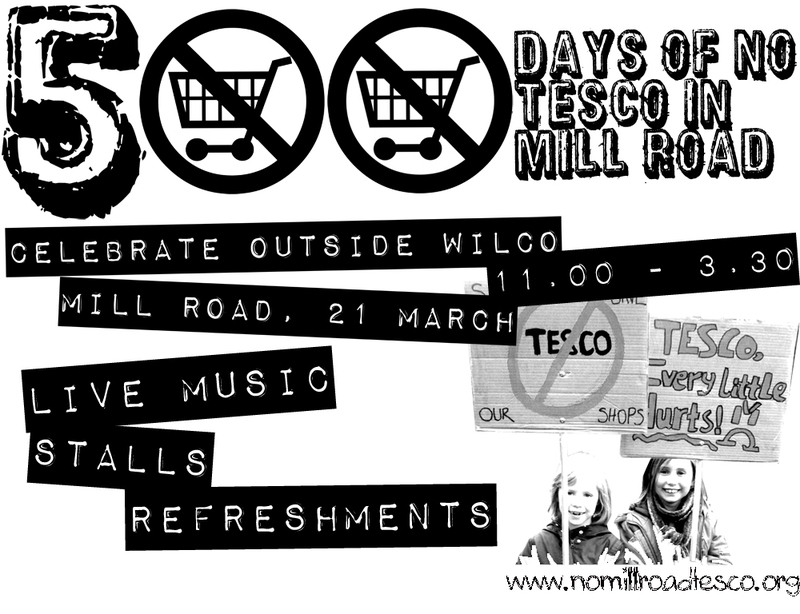 We also want to organise another public event, however, especially as the counter on our website shows we have so far kept Tesco away from Mill Road for nearly 500 days! We would love to see anyone at the meeting who is interested in finding out what is happening, and who would like to help organise an event in the near future.